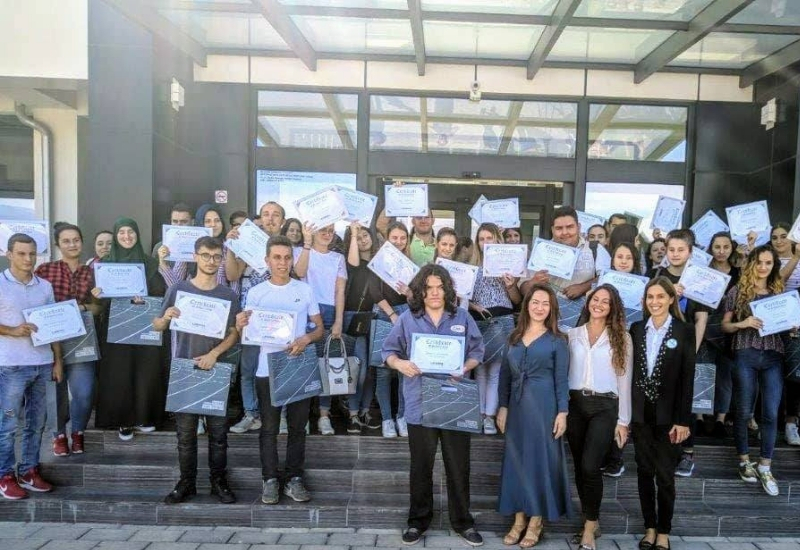 The scholarships were awarded to students from underprivileged backgrounds on 21st September, and the selection of 70 students was made on the basis of social need as well as academic success. Leoron Foundation is a Skopje-based nonprofit which is part of the Leoron Institute from Dubai. The foundation is committed to eliminating social differences within education and ensuring equal access to higher education to citizens from all backgrounds. “The mission of Leoron Foundation is to promote academic development in its communities. I am sure that each on of you will contribute to this mission through your work for our society and the community we live in.”, said Valjeta Jusufi, executive director of Leoron Institute. The selection process was not easy, as the foundation received over 700 applications. The selection criteria included social and economic status, as well as the academic record of each student. The total value of the awarded scholarships is around EUR 70,000 (MKD 4,300,000). The Foundation plans to continue its mission of providing better educational opportunities for the children and young people in Macedonia, through various initiatives. It has also been been supporting education at SOS Children’s Village in Macedonia (SOS Detsko Selo) for the past 18 months.